Australian I PREVAIL fans have spoken - they want more. Due to an overwhelming demand for tickets in Sydney and Melbourne, the band and promoter have agreed to add second and FINAL shows in each city with tickets now on sale at tickets.destroyalllines.com. This incredible tour is the very first time touring Australia for I PREVAIL and is presented by Destroy All Lines, Chugg Entertainment and Hysteria. Sydney's Licenced/All Ages show at Factory Theatre on 31st March SOLD OUT within days, with an extra show on Wednesday 5th April now on sale, and Melbourne's 18+ Show at Corner Hotel 1st April SOLD OUT almost immediately, prompting a new encore 18+ show the following day, Sunday 2nd April. Australian audiences have been particularly supportive of the record - Lifelines debuted at #8 on the ARIA charts in release week and stayed top 20 for consequent weeks - as well as every single on the record at the top of the iTunes metal and all genres charts for months leading into the album's release - and amazingly - they are still in the charts months later. Judging by Australian fans (of which there are over 60000 on Facebook) reactions to the record, I Prevail have been a major breakout act this year in Australia. 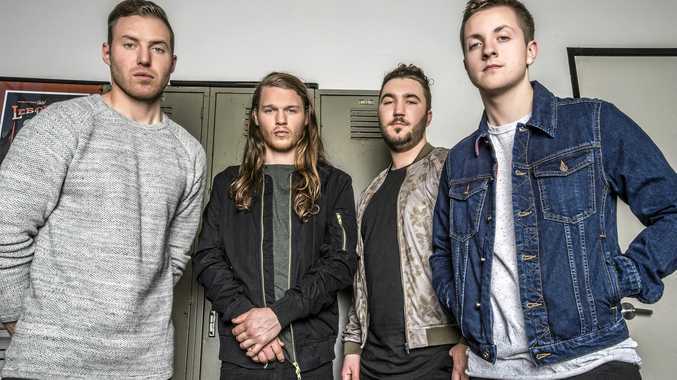 I PREVAIL's live show has been wowing fans and "live performance is stunning, much like the band's rise over the past couple years." Volume Magazine. They will also be bringing out their full US show to Australian fans and will be leaving no stone unturned during this tour.